With iOS 12 coming, who needs a new iPhone? Sure, Apple’s new iPhones understandably grabbed the spotlight at the company’s media shindig at its Cupertino headquarters. But the iOS 12 download coming today can give new life to the iPhone (and iPad) you already have in your hands. 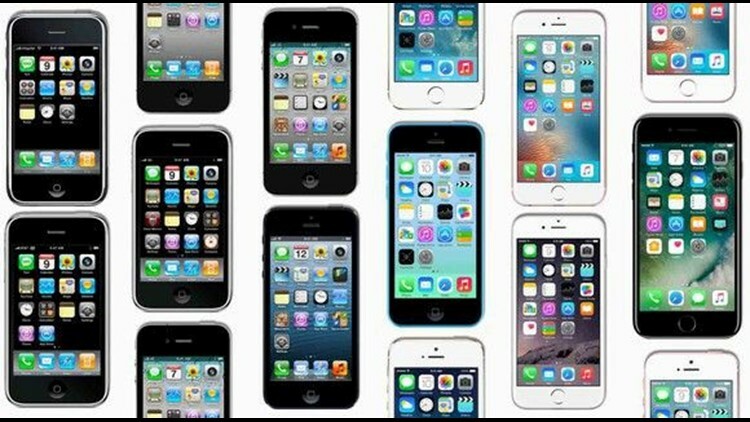 The update to the operating system software at the core of these devices can freshen them up with new features and tools, including possibly adding zing to an aging handset, even one as old as the iPhone 5S. iOS 12 has been available as a pre-release public beta since late June; the formal release is today, Sept. 17. Apple device owners can install iOS 12 on their devices for free. Though Apple hasn't announced the exact time it will be available, iOS updates are typically released about 1 p.m. Eastern (or 10 a.m. Pacific Time). To install it, go to Settings -> General -> Software Update on your iOS device to download. Just be aware that some of the features arriving with the latest software will require or work better on more recent hardware. 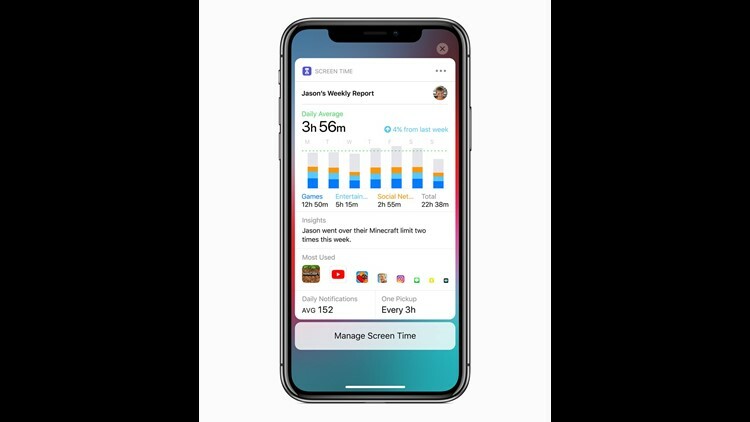 A screenshot of Apple's upcoming app Screen Time for iOS 12. As a parent, this is the feature I’ve long wanted, at least in theory, since I’m withholding a full review of Screen Time until it graduates out of the beta phase. But digital addiction affects people of all ages, and this set of tools is as much about policing your own behavior as well as your kids. Screen Time reveals a snapshot of how long you (or they) have been on the device, along with what you guys have been spending your time doing. Armed with such data, you can set a “downtime” schedule, along with daily limits for given app categories: Health & Fitness, Social Network, Games and so on. For now, it is up to Apple, not you, to determine which apps fit which category – I’d like more control myself. And yes, depending on how you set things up, you can ignore a time limit or choose to be nagged again in 15 minutes. 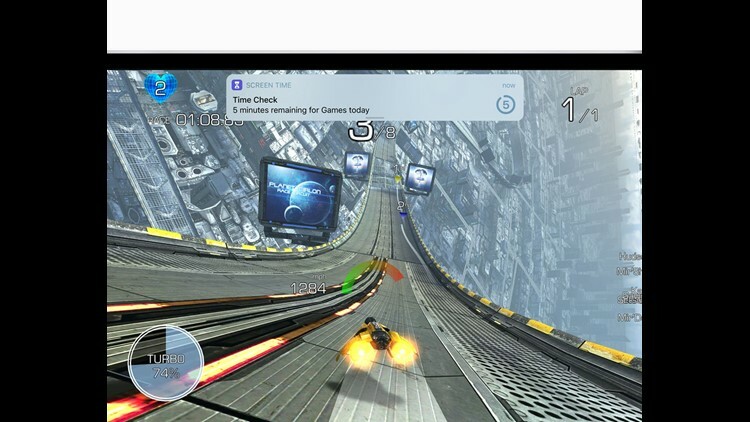 Apple's Screen Time help parents create time limits on their kids' games and apps. Apple is making it simpler to manage the notifications you want to see and those you don’t. For one thing, to reduce clutter, you can now group multiple notifications from a single app or thread into a single notification. You can also clear all your notifications by tapping a single button. Until now, you could only make a one-to-one video call through FaceTime. With iOS 12, you can participate in a FaceTime call with up to 32 people. 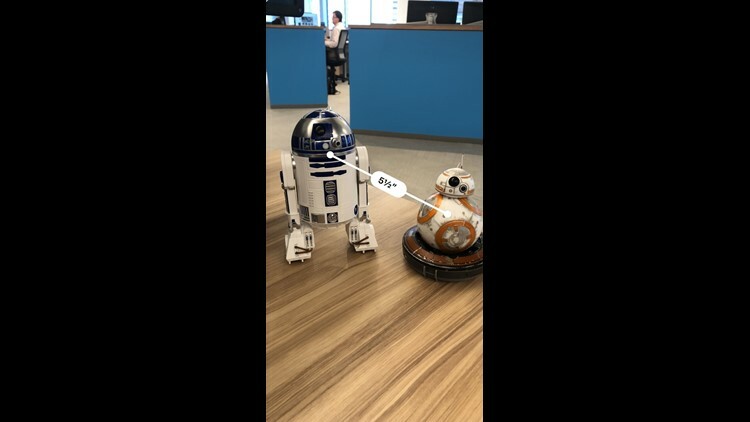 The new Measure app relies on augmented reality. Apple continues to push augmented reality, the idea that being that you can lay virtual objects on top of the real world, sometimes in a game such as "Pokémon Go." The new Measure app that comes with iOS 12 can provide actual utility by letting you draw virtual lines in free space to, well, measure real-life objects. The app requires an iPhone 6s model or later, or a fifth-generation or iPad Pro models. To most pundits, myself included, Siri lags its main rivals, Amazon’s Alexa and the Google Assistant, in brain power. One thing Apple is doing to smarten up Siri, or at least try to make up ground, is by having its assistant learn your routines and use that knowledge to design custom shortcuts. Such shortcuts might be used to surface the number of steps you take through the Health app or check the status of your stock portfolio. Apple is opening up this Siri Shortcuts feature to third- party developers, too. And the company will also let you create your own streamlined actions through a Shortcuts app that was not yet available during the iOS 12 public beta period. If you have a vehicle that’s compatible with Apple’s CarPlay, you’ve had to use Apple’s own Maps app for navigation. Through iOS 12, the promise is that you’ll be able to use CarPlay with rival apps you may prefer, including Waze and Google Maps. 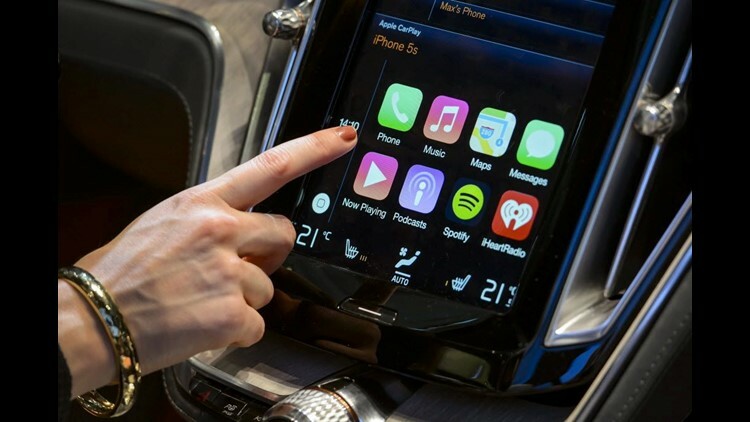 A visitor presses the new Apple's CarPlay touch-screen commands inside the Volvo Estate concept car displayed at the Swedish carmaker during the press day of the Geneva Motor Show in Geneva on March 4, 2014. Apple introduced animated emojis or “Animojis” for its Messages app last year as an attention-grabbing feature just inside the iPhone X. It’s a safe bet that some, if not all, of the new iPhone models Apple unveils next week will also support the feature. I'll leave it up to you whether you think characters are fun or lame. But Apple thinks enough of you do or will care that it is not expanding the Animoji roster to include new characters. What's more, if you stick out your tongue, such characters will do so in kind. 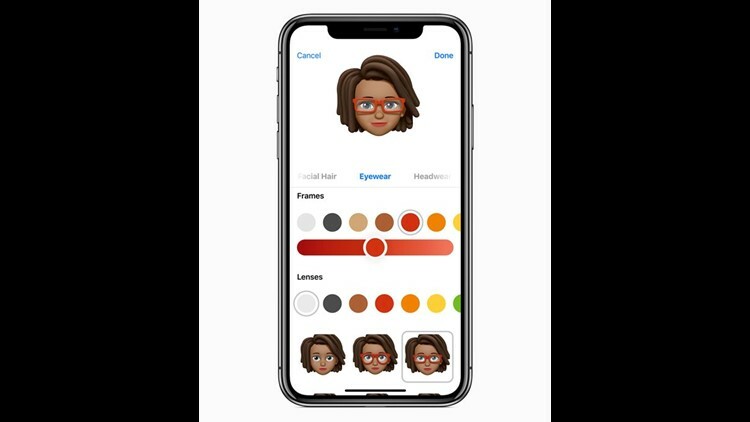 And you’ll also now be able to create your own personal avatars, or as Apple calls them, Memojis, and use them in the Messages or FaceTime apps. Privacy is always concern when we use our phones. By default, Apple will prevent you from getting tracked without your permission when you tap a “Like”or “Share” social media button or a comment widget at a site. Most of us can use a better night’s sleep. And that’s the goal of the Do Not Disturb during Bedtime feature that dims the iPhone display and conceals notifications until morning when you’re ready to face the world again. Meantime, Apple is also improving the regular Do Not Disturb feature (not just at bedtime) by letting you halt notifications and other distractions until the end of a given event, or until you leave your current whereabouts.